Shared flow not available The shared flow does not exist. Shared flow not deployed The shared flow exists but is not deployed. In the Flow Callout policy, if the shared flow defined within the <SharedFlowBundle> element does not exist in the environment, then this error occurs. For example, If the <SharedFlowBundle> element in the Flow Callout policy contains a shared flow called SharedFlow_Sample and if this shared flow does not exist in the environment, then the error occurs. "faultstring": "Shared Flow SharedFlow_Sample Not Found"
Examine all the Flow Callout policies in the specific API Proxy where the failure has occurred. Check if there is any Flow Callout policy in which <SharedFlowBundle> element is specified with the flow name identified in step #1 above. For example, the following policy specifies the <SharedFlowBundle> as SharedFlow_Sample, which matches with what's in the fault string. For example, in the screenshot shown below, the shared flow SharedFlow_Sample does not exist. 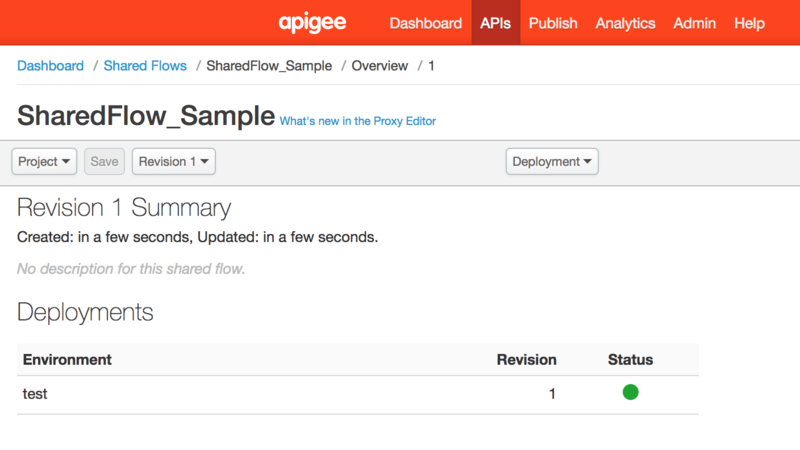 Ensure that the shared flow specified in the <SharedFlowBundle> element in the Flow Callout policy, exists and deployed in the specific environment in which the API request is executed. 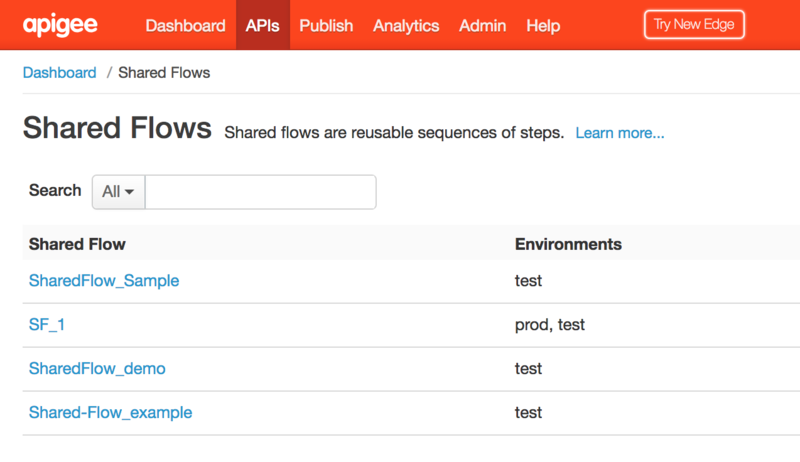 Use an already existing Shared Flow that is deployed in the test environment in the Flow Callout policy. For example, you could specify SharedFlow_demo in the Flow Callout policy. If you make an API call to the test environment, you will no longer see the error, because the Flow Callout is deployed to the test environment as well. If the shared flow specified in the <SharedFlowBundle> element of the Flow Callout policy, is not deployed, then this error occurs. 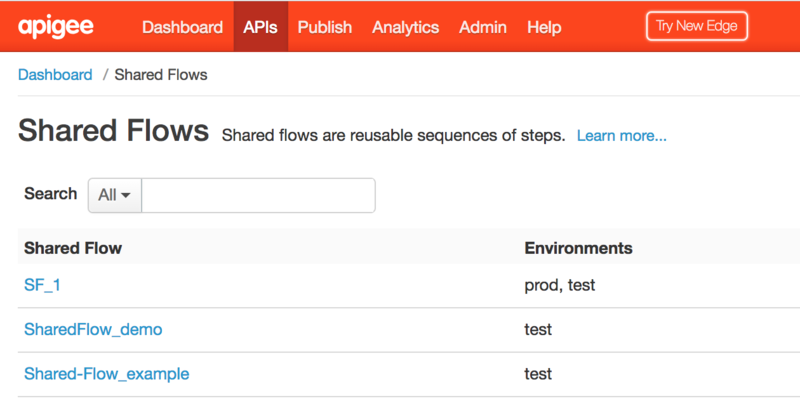 For example, If the <SharedFlowBundle> element in the Flow Callout policy contains a shared flow called SharedFlow_example which is not deployed in the specific environment in which the API request is made, then the error occurs. "faultstring": "Shared Flow Shared-Flow_example Not Found"
In the Edge UI, check if this shared flow is deployed. For example, you will notice in the below screenshot that the shared flow SharedFlow_example exists butis not deployed.